AKEEL BILGRAMI is an Indian philosopher of international eminence and scholarship. He graduated from Elphinstone College, University of Bombay, in 1970 and went to the University of Oxford as a Rhodes Scholar. Thereafter, he moved to the United States and earned a PhD in philosophy from the University of Chicago in 1983. He currently holds the Sidney Morgenbesser Chair in Philosophy at Columbia University. Bilgrami was the Chairman of the Department of Philosophy from 1994 to 1998. 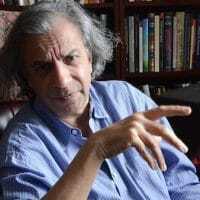 He was the Director of The Heyman Centre for the Humanities at Columbia University from 2004 to 2011 and the Director of the South Asia Institute at Columbia University from 2013 to 2016.